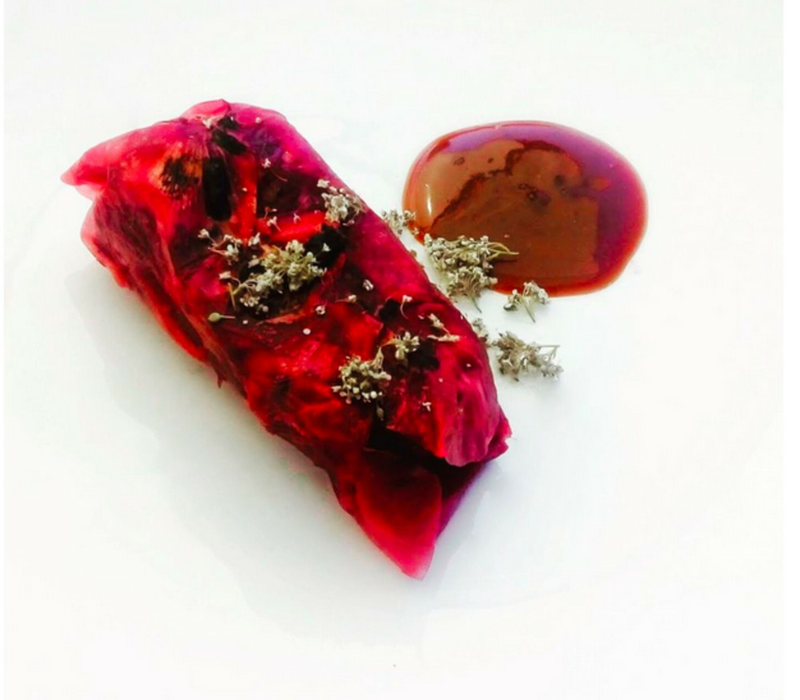 Here at Foodie, we’re suckers for a good pop-up, and the first of the season at Test Kitchen, the capricious Sai Ying Pun supper club, surely won’t disappoint. Earthy, warm flavours will come first in the hands of guest chef and bona-fide forager Tobyn Excell. Excell, who had gigs at Copenhagen’s prestigious Nordic Food Lab and Miles Irving's Forager, emphasises sustainability and locality. 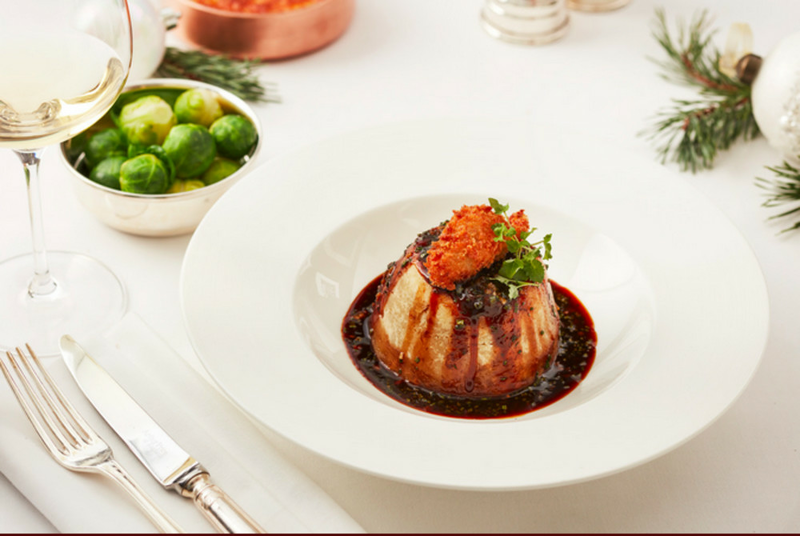 Experience the terroir of both his native UK and Hong Kong, with many of the menu’s ingredients hand-picked and foraged by Excell himself. 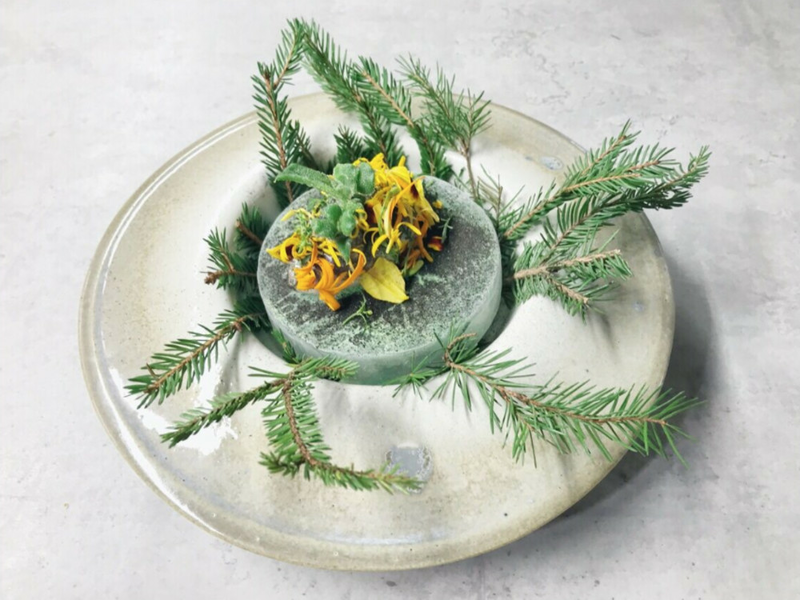 Some highlights of the woodland-inspired menu include langoustine in rosehip miso, Wagyu beef tongue with kombu butterscotch and beeswax pudding with honeycomb, sweet woodruff ice and pickled elderflower. Summer may have come to a close, but you can be whisked away for a Thai getaway at M bar at the Mandarin Oriental hotel. Jamie Rhind, the bar operations manager at Bangkok’s award-winning Bamboo Bar (number 9 on Asia’s 50 Best Bars list this year), will be bringing his talents across the South China Sea for a three-day stay. From 17–19 September, enjoy cocktails inspired by Thailand’s five distinctive regions. Miss the laid-back beauty of Chiang Mai? 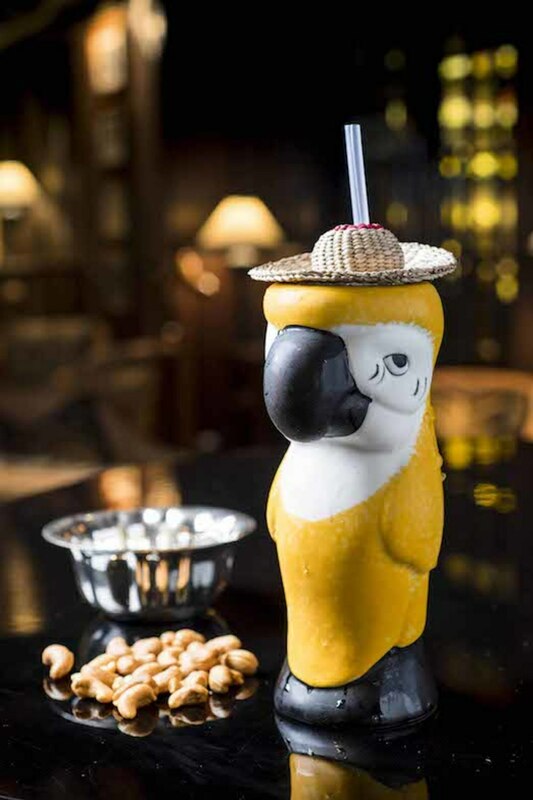 Try the Birds, Bees and Trees, made with PHRAYA rum, bee pollen, safflower and sunflower seeds. Or, if you’re craving some Bangkok street food, the Hawker cocktail, made from Ocho tequila blanco, coconut, lemongrass, kaffir lime, coriander and ginger beer, is inspired by tom kha gai. 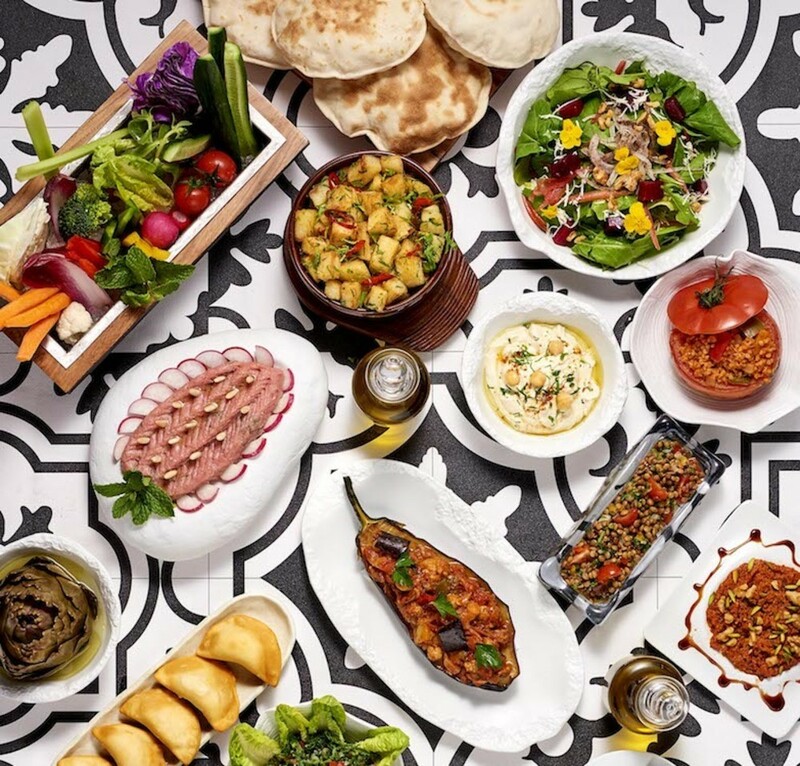 September is looking to be a busy month at the Mandarin – and it’s about to get even more festive with a four-day Middle Eastern feast from 27–30 September by guest chef Ali El Bourji. The Lebanese-born chef has been working in Dubai for the past two decades before becoming an executive chef at the lavish Atlantis The Palm – even managing to appear on MasterChef Arabia and Kitchen Impossible in between. Diners can enjoy over 40 dishes, from hot and cold meze like baba ganoush, falafel and fish tagine, to grilled meats like shish taouk and lamb kofta, to a variety of exotic main courses and desserts. Germany may be 12 hours’ flight time away, but who needs Oktoberfest when we have our very own Beertopia, which is going on its sixth year. Held at picturesque Central Harbourfront, Beertopia is Hong Kong’s biggest craft beer festival. Sample over 500 different beers from breweries around the world, including some local brewskies. Join revellers for two days of games, food trucks, live music, shisha and – of course – lots and lots of beer. Some collaborations are so anticipated, you could say they were destined to happen. What happens when you combine the Bay Area’s hottest neo-Chinese lounge with Hong Kong’s funkiest Cantonese eatery? 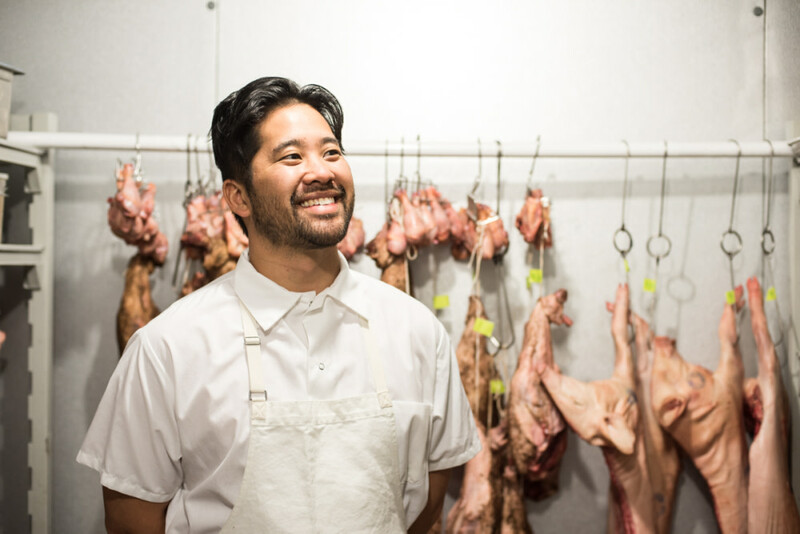 We can’t say exactly, which is why this collab between San Francisco’s Mister Jiu’s and SoHo’s Ho Lee Fook on 9 October is a must-attend this autumn. Mister Jiu’s, which garnered a Michelin star within six months of opening, is helmed by James Beard–nominated chef Brandon Jew, whose influences range from Chef Michael Tusk of San Fran’s Quince restaurant to his grandmother Ying Ying. 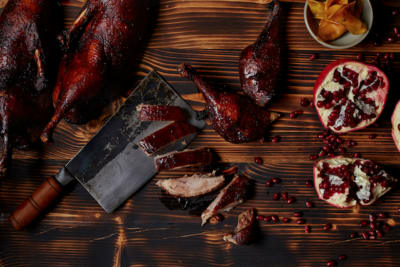 Don’t miss this one-night-only exclusive dinner to celebrate Chinese-American cuisine and pay homage to its Cantonese roots. Highlights of the night include smoked oyster youtiao with avocado and clay-pot cassoulet of lap cheong, salt duck, salt pork belly and chicken. 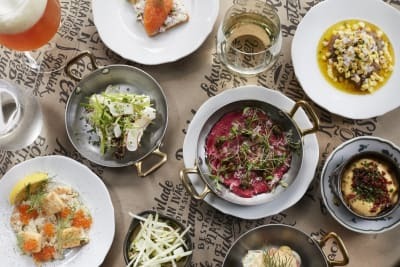 Up-and-coming Finnish-Kurdish chef Kozeen Shiwan will be making a three-night-only appearance at Sai Ying Pun’s Test Kitchen, bringing with him an array of visually stunning and artistic vegetarian dishes that really do look too pretty to eat. Drawing influences from his diverse creative background and multicultural upbringing, diners will be tasting unique takes on Nordic ingredients and Middle Eastern dishes. With past experience at Michelin-starred Luomo and Ask in Helsinki, we’re expecting big things and provocative flavours with his menu. Get ready for a decadent meal to beat all decadent meals with this whopping 33-course tasting menu designed by Chef Edward Voon at LE PAN. The menu – dubbed Asia Unleashed 33 – runs the gamut of Asian flavours, from Hong Kong, to Singapore, to India. The highlights are many and varied and include Singapore’s chicken rice reimagined as sushi, black pepper crab croquette, laksa mousse made with fish balls, cockles, bean sprouts and lime leaves, breaded slow-cooked beef tendon and coconut balls and “Singlish”, presented on a spoon, which sees chilli crab liquefied. Herbaceous and piny, gin may be the unofficial mascot of the autumn equinox. Drink up at the East Imperial Gin Jubilee. Asia’s largest gin festival, hosted by East Imperial Tonic Waters, is back for its sixth year, making a one-day stop in Hong Kong on 27 October. One week before this, on 20 October, 14 mixologists from top bars in Hong Kong and Macau will begin to serve up their creative interpretations of the G&T, with the winner sent to rep HK at the grand finale in Singapore in late November. Gin enthusiasts will be able to try a wide selection of worldwide gins, from well-known brands such as Hendrick’s from Scotland, Kyrö from Finland and Japan’s Roku to a more niche selection including Scottish Dunnet Bay Distillers Rock Rose Gin and Peddlers’ Shanghai Craft Gin, made in Shanghai’s first distillery. This year’s event will also attempt to be a zero-waste affair – the Gin Jubilee will be using bamboo straws and biodegradable cups – making it sustainable and guilt free (maybe). Lovers of down-home N’Awlins cookin’ shed a tear when award-winning private kitchen Magnolia closed nearly three years ago after 10 years of business in Sheung Wan. The good news is that Magnolia is back – for a limited time, at least – hosting private parties this holiday season. We’ll be booking to dig into Magnolia faves like Cajun BBQ ribs and drool-worthy pecan pie. 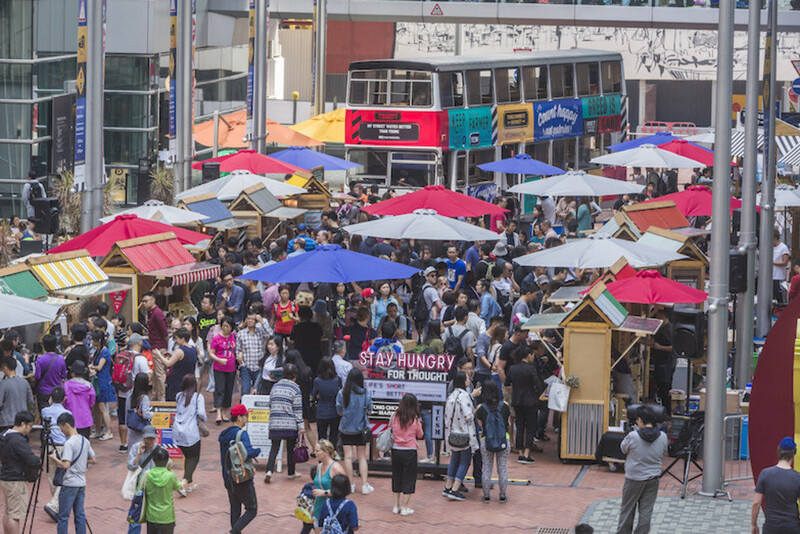 Organised by the Hong Kong Tourism Board, the Hong Kong Great November Feast is a annual month-long programme that celebrates the Hong Kong culinary scene in all its glory. 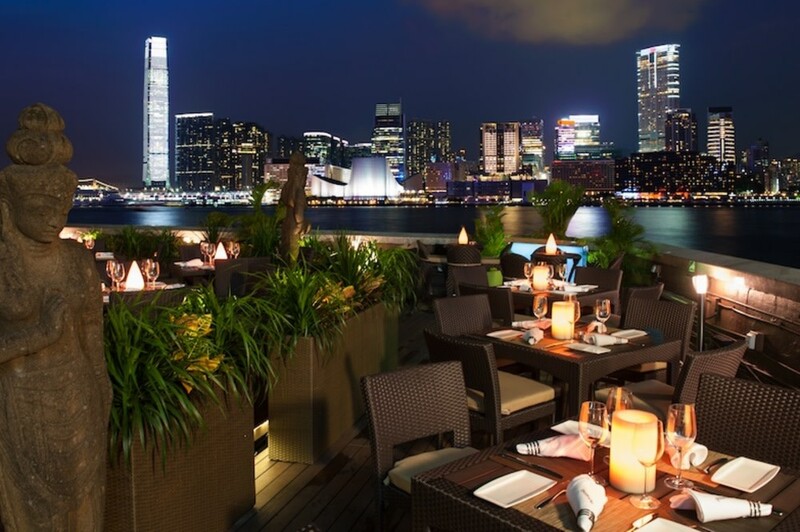 Every day for 30 days, indulge in a series of gourmet happenings, from foodie street fairs, to signature tasting menus at top restaurants around town, to specially priced wining and dining offers, to grand wine- and beer-themed events like the Hong Kong International Wine & Spirits Fair. There’s something to tickle just about everyone’s taste buds during this incredible food lover’s extravaganza. For details, click here. A hallmark of the cooler months for us at Foodie, Tong Chong Street Market is back with a bang this November. Every Sunday till Chinese New Year, the market is home to 40 homegrown food stalls, from local organic farmers to purveyors of healthy baked goods. The theme for November is Coffee Festival, spotlighting 20 top coffee vendors – including four all the way from Taiwan (All Day Roasting Coffee, COFFEE DPT and Paper Street Coffee Company from Taipei and Awake Coffee from Kaohsiung). On the food side, we’re psyched to try Saigon Etoile’s Vietnamese street food, KONG by Bread & Beast’s mapo cheung fun and Pantone Colour of the Year (it’s Ultra Violet for 2018) ice cream by TEEMTONEfai. Next up on the Test Kitchen hit list is British chef Ben Waugh of London’s celebrated Savoy Grill. 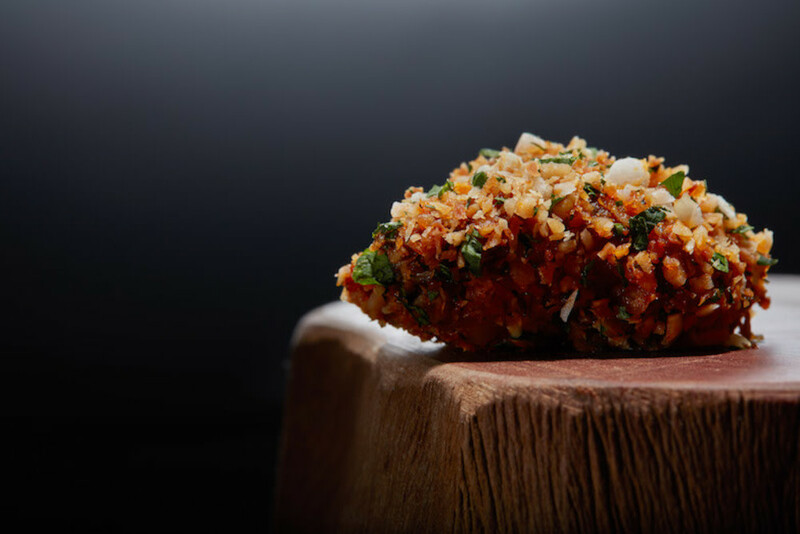 Chef Waugh’s tasting menu celebrates the dishes that Gordon Ramsay and the Savoy Grill have made famous such as foie gras and pigeon terrine and beef Wellington, but – truth be told – we’re most looking forward to the “snacks” of brioche with Marmite butter and crispy chicken skin with cod roe. If we were asked to rank countries in terms of coolness, Japan would be at the top of the list. So we think the name of the LKF Cool Japan pop-up is pretty apt. Organised by the Lan Kwai Fong Group, the festival begins on the 7th of the month with Art Japan, with California Tower transformed into a gallery with sculptures by Japanese artists. On the 8th, check out Discover Japan in collaboration with premium Japanese fruit distributor Kingsley Desserts & Gourmandises, which is dedicated to all things Monchhichi, including themed merchandise, food items and the cheeky Monchhichi monkey himself. Seasonal fruit (Japan Nagano Shine Muscat grapes or Wakayama persimmons, anyone?) can also be sampled. The event culminates with a two-day street carnival with more than 40 booths (many of them food related), games, live music and a parade. This five-day festa is back with a bang, celebrating its 10th year by bringing together 10 of Italy’s Michelin-starred chefs – from Heinz Beck of three-starred La Pergola in Rome to one-starred Felix Lo Basso from his eponymous eatery in Milan – and 10 of Hong Kong’s hottest Italian restaurants in an exclusive culinary collaboration. 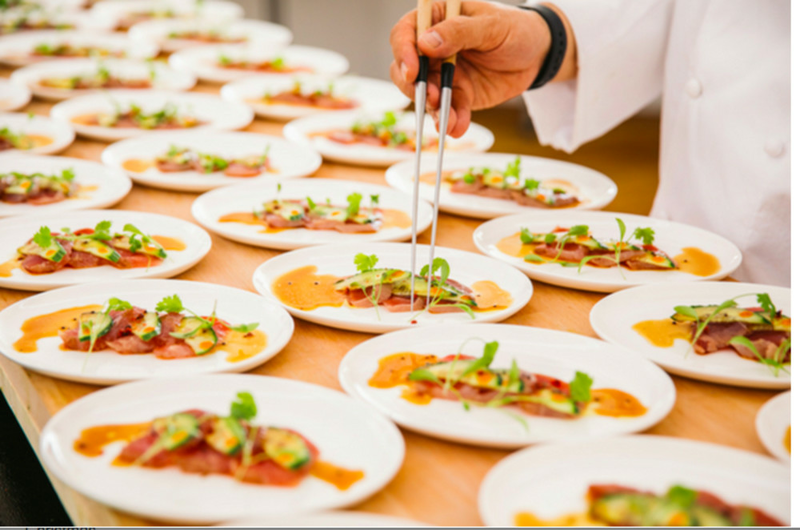 The Italian Cuisine & Wines World Summit will kick off with a gala dinner on Tuesday, 6 November featuring dishes from all 10 chefs. Then delve into the world of Nebbiolo and Sangiovese on Wednesday, 7 November at the annual Italian Wine List Awards, hosted at Nicholini’s at Conrad Hong Kong. For three days, from 8–10 November, gear up for the most authentic meal you’ll have outside Italia as the guest chefs whip up their signature dishes at top Italian restaurants around town including Octavium by Umberto Bombana, Isola, Nicholini’s and SPIGA, just to name a few. The third annual WWF–Hong Kong Sustainable Seafood Week places the focus on preserving our oceans and marine life. The Savour Local Flavours Market on 9–11 November at Kwun Tong Promenade is all about local sustainable seafood delights like HK–style fish balls, indoor-farmed giant grouper and tuna wontons, with recycled materials used to construct the market itself. 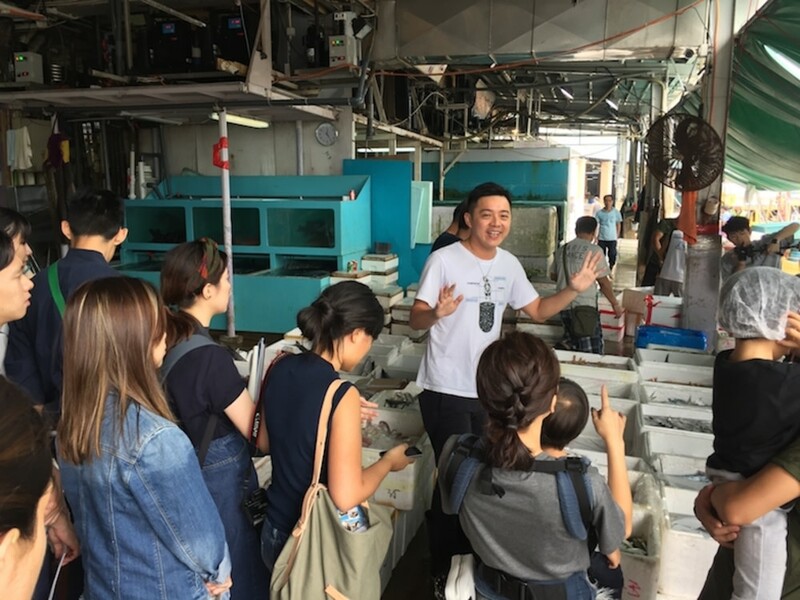 Most exciting for us, aquaculture tours – including to Aberdeen Wholesale Fish Market and Lamma Fisherfolk’s Village – will be offered later in the month. Each tour includes a lunch featuring sustainable seafood. Visit this website for more information as to locations, dates and times of the market and aquaculture tours and to book tours. If you’re looking for a spot to ring in the Indian festival of lights this year, Tamarind’s Diwali party would be hard to beat (literally). Live music by contemporary South Asian musicians The Zero Point is the highlight, plus each ticket includes free-flow pan-Asian tapas, two standard drinks and a hangover breakfast at 2am. Looking to expand your mind around food? Hysan Place’s inaugural GreenFest is aimed at the younger generation in a bid to encourage them to take action towards rethinking our planet’s food sources and moving towards a more sustainable future. With a rich line-up of innovators in the field and advocates for food sustainability, students between the ages of 15–17 can participate in interactive workshops and lectures and enjoy a nutritious lunch courtesy of The Landmark Mandarin Oriental, Impossible Foods and Oatly. 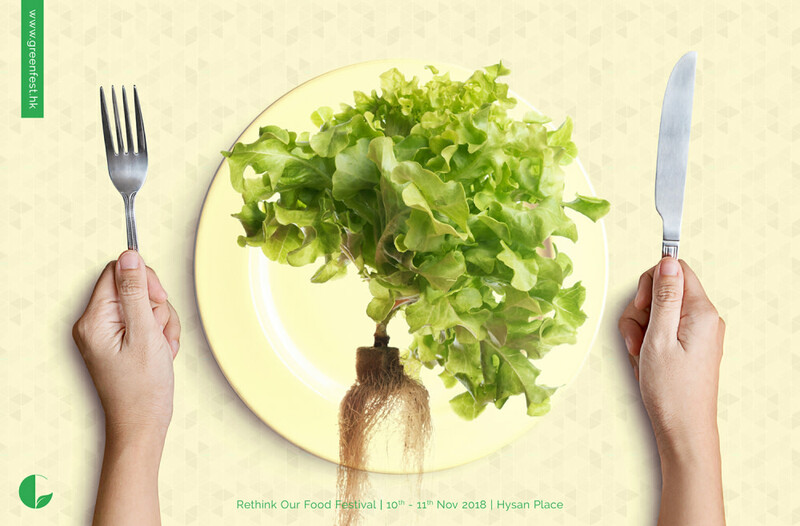 There’s something in it for the public too; on the evening of Saturday, 10 November, GreenFest will screen Wasted! The Story of Food Waste, the award-winning documentary about food waste featuring Anthony Bourdain, followed by a panel discussion and Q&A with sustainability experts. 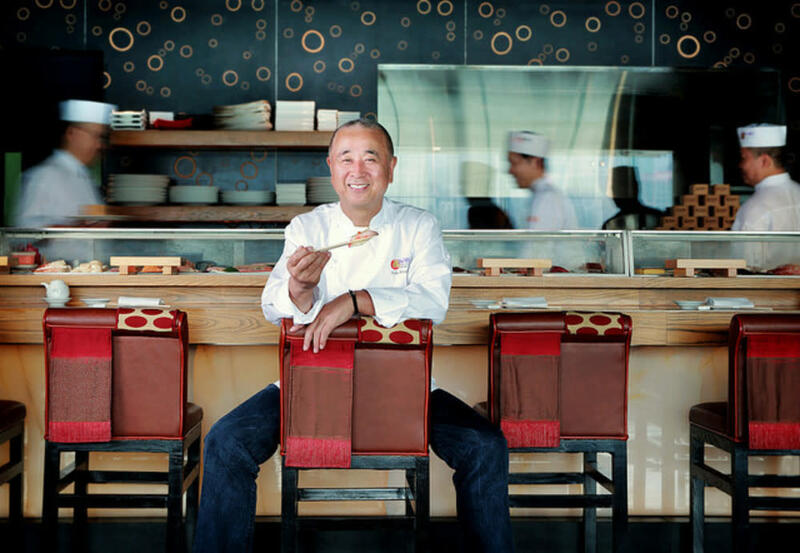 NOBU mastermind Nobu Matsuhisa returns to Hong Kong this month to cook up a storm alongside NOBU HK’s executive chef, Sean Mell, in a series of gala dinners. 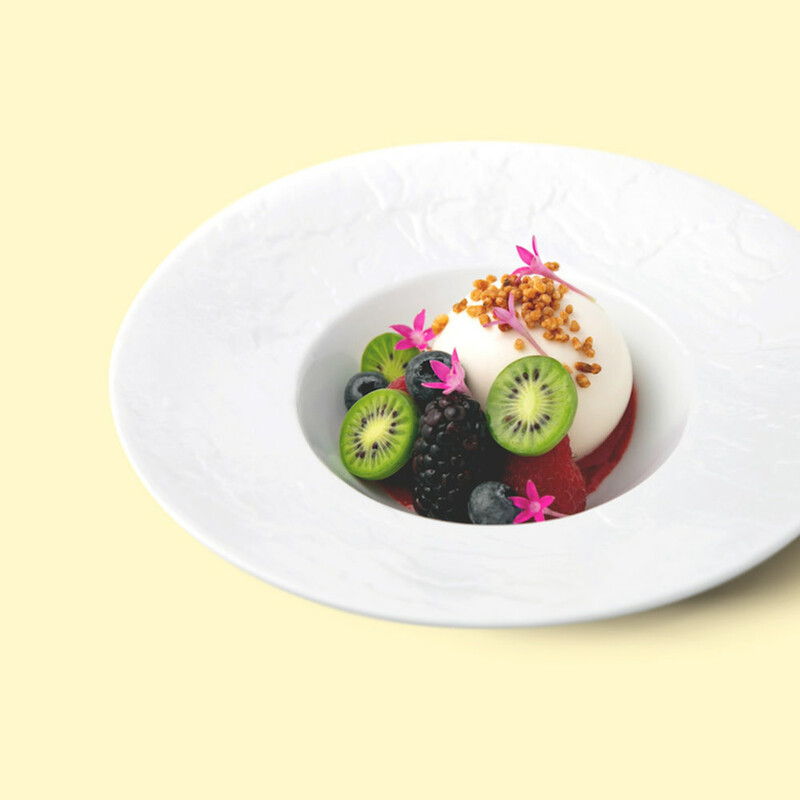 The omakase menu will see the debut of several dishes from the InterContinental’s 2019 culinary promotion the Liuhe Wareki Japanese Gourmet Experience, featuring seasonal ingredients from different regions of Japan. Expect the likes of crispy Obsiblue prawn with spicy citrus butter, roasted kinki fillet with toasted rice dash and A5 Wagyu with smoked black garlic miso. Signed copies of Chef Matsuhisa’s latest book, World of NOBU, will be available for purchase. 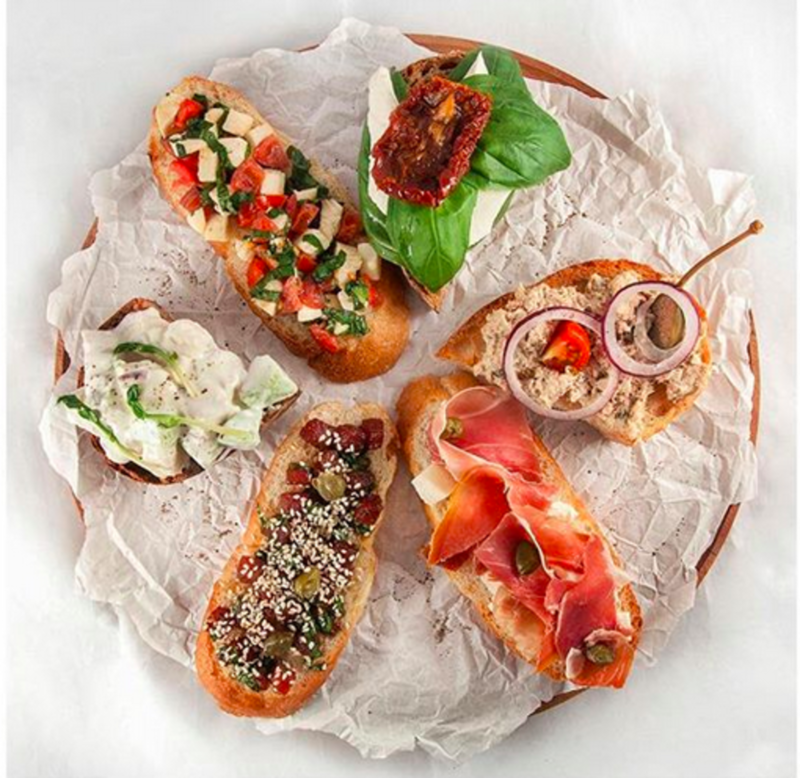 Berlin-based Swedish entrepreneurs Olga Grönvall Lund and Kajsa Lorentzon are bringing their unique brand of Swedish sandwiches – Mäckish AB – to Nordic deli Rye House in Central for two days. First come, first served for delicious Mäckishes made with the best Scandi-sourced ingredients – think rye bread, shrimp, horseradish, dill and lemon zest (vegan option available too). Pinot Palooza is coming to Hong Kong! 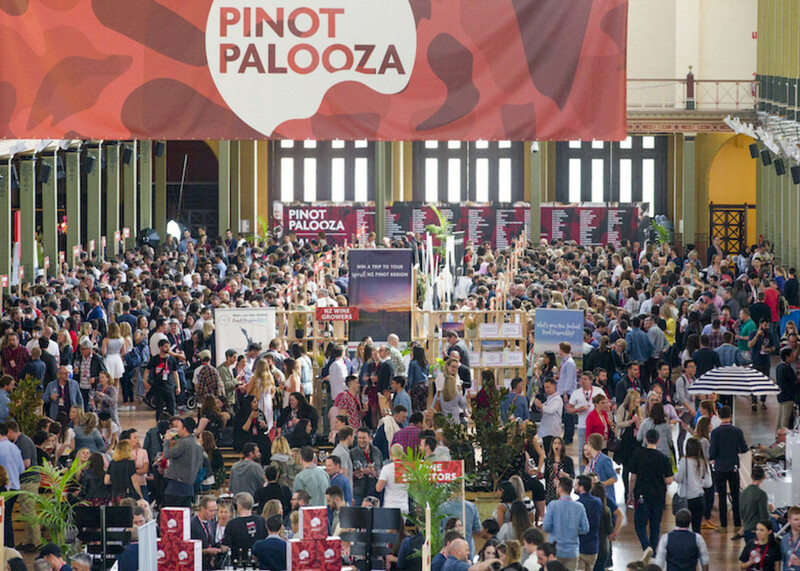 Founded in Australia in 2012, Pinot Palooza is the world’s first and largest festival dedicated to all things Pinot Noir. This year sees it touring the world to 11 cities, including Singapore and Hong Kong. To kick off December with a bang, get read for a showcase of the world’s best Pinot Noir, delicious food-pairing experiences and laid-back live music. 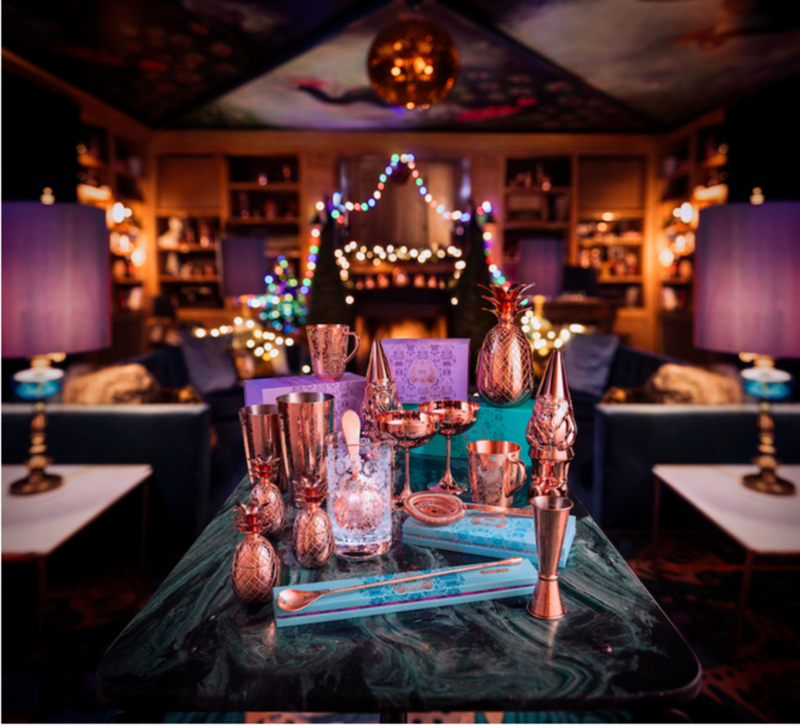 This December, Absolut Elyx brings the brand’s iconic copper ware to Hong Kong with Asia’s first Elyx pop-up boutique. Located in SoHo, you can grab yourself a cool copper pineapple tumbler ($799) or gnome-shaped copper cocktail cup ($799). The pop-up also offers experiences and workshops that are open to the public, from cocktail-making workshops and alcohol masterclasses, to party make-up and hair workshops, to Instagram photography workshops. 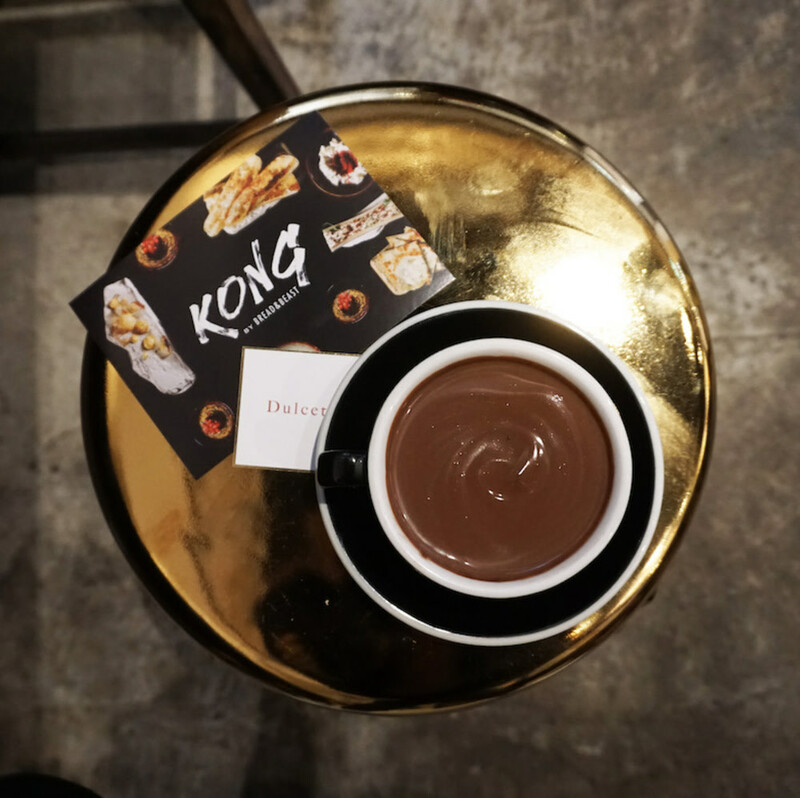 Join new local hot chocolate specialist Dulcet for their first pop-up at Bread & Beast in Wanchai. Seasonal flavours include cinnamon, ginger and mint.